HomeGamma ChatWhat is a Qubit? To understand what a qubit is, we need to understand what a bit is and why there was a need for a qubit. A bit is a basic unit of information in the digital world. Bit is a word derived from Binary Digit – Bit. So, a bit is basic unit of information, which can store a binary value. Binary values are only 1 and 0. In classical computing, a bit is a single piece of information that can exist in two states – 1 or 0. Quantum computing uses quantum bits, or ‘Qubits’ instead. These are quantum systems with two states. However, unlike a usual bit, they can store much more information than just 1 or 0, because they can exist in any superposition of these values. Most modern computers have either a 32 bit or 64 bit processors. A 32 bit processor means the processor is capable of working with 32 bit binary numbers at once. 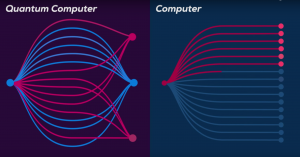 That is why modern computers appear to perform basic tasks very quickly such as web browsing, watching Netflix or playing games, however it fails to compute highly complex problems. So What is a Qubit? 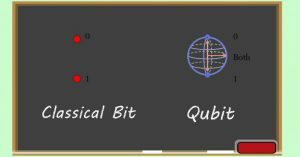 A Qubit is the abbreviated name for a quantum bit. A quantum bit can hold both 1 and 0 at the same time. It is called as superposition state, a basic feature of the quantum world – Superposition. A bit can hold only either 0 or 1 at one time, whereas a Qubit can hold both 1 and 0 at the same time, meaning a single Qubit can take part in millions of process at a single time. Thus making a quantum computer super fast. It is easy to see why Qubits are needed and why quantum computers are required. Theoretically, the more complex the problems are, the faster the solution will be achieved using a quantum computer. Quantum computers operate on completely different principles to existing modern day computers, which makes them really well suited to solving particular mathematical problems, like finding very large prime numbers. 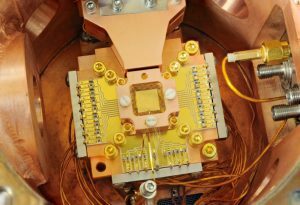 Researchers are also excited about the prospect of using quantum computers to model complicated chemical reactions, a task that conventional supercomputers aren’t very good at all. By entering into this quantum area of computing where the traditional laws of physics no longer apply, we will be able to create processors that are significantly faster, up to a million or more times, than the ones we use today. This opens up a world of possibilities never before been achieved.